One thing I have noticed over the years is that mayonnaise is an oddly divisive substance. Many hate it with a passion, refusing to let it so much as touch a piece of sandwich bread, while others love it, slathering it on artichokes, mixing in herbs and calling it a sauce, even topping the occasional plate of scrambled eggs with a dollop just because they can. I am a card-carrying member of the latter group. It may be because both my parents are from the South where mayonnaise is more of a staple ingredient than just a condiment. 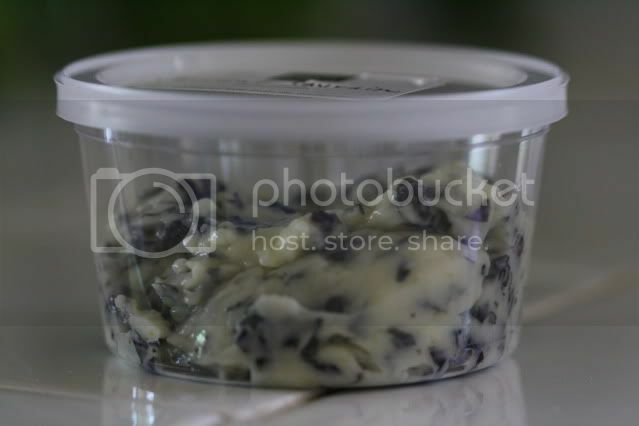 Not a day went by at 3752 Chevy Chase Drive that we didn’t have a huge jar of Best Food’s (Hellman’s for you East Coasters) in the fridge, with another one on standby in the cupboard. My appreciation of mayonnaise seemed perfectly normal amongst my own kind. In fact, I didn’t realize there was anything wrong with my level of mayonnaise consumption until my sophomore year of college when my roommates looked on, horrified at my decision to fold up pieces of Kraft American singles and dip them into my oversized jar of mayonnaise as a snack. Clearly, my gourmet tendencies had yet to take hold. For someone who loves mayonnaise as much as I do, I find it surprising that this past weekend was the first time I tried to make mayonnaise at home. I guess it’s due to my devotion to Best Food’s. I never saw the need. I am here to tell you that I have been reformed. I still love my Best Food’s, but there is something completely different and luxurious about homemade mayonnaise. I am also here to tell you about a few mistakes I made with the first two attempts that never emulsified. Making mayonnaise is not as simple as it seems. If you’re not in the Los Angeles area, then you don’t know that it topped 100 degrees this past weekend and not just in the Valley. It was a hot one and without the benefit of any air conditioning, the idea of vigorously whisking egg yolk while slooooowly adding oil, drop by drop at first, seemed like too much physical exertion for such a hot day. I decided to take a lovely looking recipe from Michael Rulhman and make it in my blender. After all, the blender will certainly whisk vigorously while I have my hands free to add the oil drop by drop. Right? Not so. It turns out, according to The Joy of Cooking, that you need to have egg white included in the recipe if you’re trying to make a blender mayonnaise. Clearly J o C must know what they’re talking about so I transitioned to their recipe which called for using a bit of egg white in addition to the yolk and a Cuisinart instead of a blender. I fitted my Cuisinart with the plastic blade as directed and attempted batch number two. Still no emulsification. Perhaps I added the oil too quickly? Possibly, but I have a sneaking suspicion that the plastic blade did not create enough agitation to get the mixture to emulsify. Already having dirtied two of my major kitchen appliances, I eyed the third. Epiphany. If I used the whisk attachment on my KitchenAid mixer, then who, other than the all-seeing kitchen Gods, would ever know that it was, in fact, a mixing machine and not my own arm that was attached to that whisk? I reverted back to Ruhlman’s recipe and in about five or 10 minutes had a wonderful mountain of homemade mayonnaise sitting in front of me. Success. Who says cheating never gets you anywhere? Truth be told, the energy exerted while washing all of those appliances is at least equal to, if not more than what it would have taken me to whisk the darn thing by hand in the first place. My final tip on homemade mayonnaise? Once you have succeeded in getting the mixture to emulsify, for God’s sake, don’t ruin it by throwing it in a blender to add fresh herbs. I lost two thirds of my beautiful mayonnaise by trying to turn it into basil mayonnaise in the blender. I managed to break the emulsification and ended up with a runny purple mess in front of me (purple basil). Thank goodness I had set some aside that I was able to combine with hand-chopped basil. I served this basil mayonnaise next to a gorgeous skirt steak that the boyfriend grilled, but it would be equally delicious on just about any kind of sandwich. 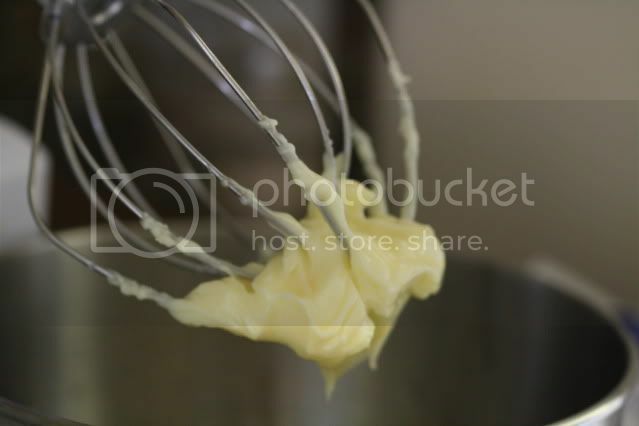 Place egg yolk, salt, lemon juice and water in the bowl of a mixer fitted with the whisk attachment and whisk on medium to combine. Pour vegetable oil into a glass measuring cup, preferably with a pouring spout. Turn mixer up to medium high and use a spoon to add the oil to the mixer, drop by drop, until about a third of the oil is mixed in. You should see the emulsification coming together as a thick, white, creamy sauce. Each time you add oil you will see the emulsification loosen, then come together around the whisk and then start sticking to the sides of the bowl again. When the mixture sticks to the bowl, you know it’s safe to add more oil. I used the spoon method for the entire cup of oil, mainly because I had already broken two emulsifications that afternoon. If you are brave, feel free to start adding the oil in a slow drizzle after the first third is successfully incorporated. Once all the oil is incorporated, you should be left with glorious, luxurious mayonnaise. Use as you will. I'm one of the crowd that hates it. I started gagging just hearing about your snack. But I'm glad your recipe turned out well, eventually. I love it and try, though I'm not always successful, to make my own when I need it. I keep an emergency jar of store-bought to make up for my short-comings. I hope you are enjoying these last few days of simmer. Okay, I don't know how you found ME, but I'm so glad I found you! You are a wonderful writer! I will follow with interest and enthusiasm! Your purple basil mayo sounds wonderful. Thanks for visiting my page yesterday. I am just browsing your blog and it is absolutely gorgeous. You are so creative. I am beyond impressed :D, fab pictures too! Wonderful! I love mayonnaise, but only the homemade version ;-P! we always make our own mayo - and my mixer makes my life a billion times easier! I was one of the witnesses of the Kraft Singles dipped in industrial size Mayo.... and I was the main gagger. Despite the gagging, I have to say, this Mayo looks fantastic. Everything Jess posts looks fantastic though so it is no surprise. I've never had any success making mayonnaise in a food processor, either. Yet somehow I have with a wooden spoon (try it sometime, really)! Basil mayo on a steak sounds heavenly. I am a card carrying member too, and haven't tried my hand at making mayo before. I didn't think of it until now. The possibilities are endless and I really want to try this. So funny, I just tHis morning i made a blood orange mayo to put on asperagus! I used my magic bullet (miniblender)blended the egg yolk,salt and lemon first then threw in the blood orange olive oil and blended till creamy...who knew it would be so easy and tasty!Basil is next! I LOVE mayo! I've never attempted to make mayo, but you've got me inspired. My husband is already a fan of your blog. He loves to cook and this blog speaks to him. Popped in from Mary's to say hi! NOT a mayonnaise lover, but might make an exception for this version. I'm not a mayo fan but I can really get beind his homemade version with basil - my favorite herb. Yummie, I love mayonnaise, I always dip my French fries in it...which drives my husband crazy :-), I'll definitely try to make your version...yummie! oo purple, what happened to the green? I love mayo and I can have it with anything. I love homemade mayonnaise whenever I can find time to make it! I like your version with purple basil mixed in! Such gorgeous photos once again! I love making mayo at home, the quality is unbeatable, nothing compares! I almost never make homemade mayonnaise, but it's so worth it! Great idea to use the mixer. I've been making mine the following way: your recipe (minus the water) + 1 tsp of dry mustard (or 1 tsp of Dijon) + yolks of 2 boiled eggs (completely cooled). The boiled yolks are puréed with salt & dry mustard. A quarter cup of oil is added and mixed well. Then in goes the yolk from the fresh egg. Everything is mixed again. The rest of the oil is then added a bit at a time (1 to 2 tablespoonful depending on whether the mixture looks stable or not). If too much oil has been added at one time & the mixture starts to curdle, quickly drop in an ice cube & continue to stir vigorously until it stabilizes again. Remove the ice cube & continue to add the rest of the oil. Lastly add the lemon juice & stir. If I'm making aioli, that's when I would add the garlic.